Glamorgan are lining up a replacement for overseas batsman Shaun Marsh. 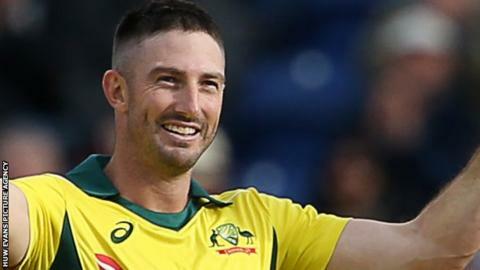 Marsh, 35, is set to be on Australian duty for at least the first part of the 2019 season having returned to the international fold last year. The club's AGM heard that they are aiming to have the new top-three batsman in time for the start of the Championship season. Glamorgan begin their County Championship campaign against Northants on Thursday, 11 April. Meanwhile former chairman Gerard Elias QC is the club's new president. He takes over from ex-coach and captain Alan Jones, who stands down at the end of his three-year term. Elias, a former barrister and deputy high court judge, has also been chairman of the ECB's discipline comission. The meeting also heard that Glamorgan chief executive Hugh Morris is to meet his Gloucestershire and Somerset counterparts to discuss plans for the new hundred-ball competition, starting in 2020. The three CEOs and an independent member will form a board to make key appointments for the Cardiff-based side.